It’s finally beginning to look a lot like Christmas. Mother Nature has been rather fickle for the majority of December often giving us warm days up into the 60s. This week, however, is more typical of Garrett County. We thought “Snow” and here it is fluttering to the ground as I type this. This month has been a busy one here at Taylor-Made Deep Creek Vacations. We started off the month with our annual charity drive. This year we chose to send care packages to soldiers that are stationed overseas. We chose 3 different soldiers and sent items according to what they specifically asked for. Popular requests were snack foods, baby wipes, chap stick, foot powder, hygiene products and more. All in all we gathered approximately $700 worth of goods that were shipped. So, this is big shout out and thank you to my coworkers who used stellar teamwork to get these out in time for the holidays. You guys are the best! We then continued the holiday cheer with our annual Holiday party! I must admit, no one knows how to celebrate quite like the crew at Taylor-Made Deep Creek Vacations! Because we now have the space with are new, bigger office, we held the party here. Angie Bosley and her crew did a remarkable job of catering the party. 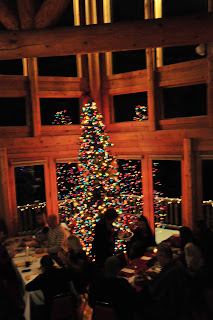 They had our main Great Room elegantly decorated in gorgeous hues of red and gold and accented with lots of lights. The food was absolutely delicious (her meatballs are to die for!!) So, a big thank you to Angie and her help for the fabulous food and display. 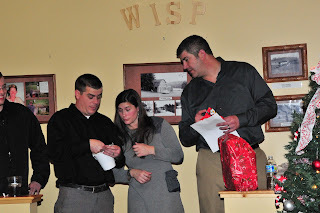 We continued our tradition with our “Yankee Swap” where everyone vied for various gift cards and crafts. I came away with a gift certificate to McHenry Beverage, which will come in handy with some bubbly for New Years. Another thank you also goes out to Joe, Jodi, and Chad for once again being so thoughtful to your employees and hosting a wonderful party. If you are going to be in the area this Monday, December 24th, please stop by our office. Santa Claus will be here from 10 am- 12 noon where he will be reading Christmas stories to the little kids. Hot chocolate and cookies will be served as well. Bring a camera, the family, and come visit us! It’s going to be a great time and we would love to see you! Wisp Resort is currently cranking out the snow so it’s a great time to call in and begin planning your winter getaway. As usual, we are offering some great specials and don’t forget about our “Ski Free Stay Free Package” where you stay and ski for 3 nights for the price of 2. Call and speak to one of our reservationist (1-866-351-1119 or online www.deepcreekvacations.com) about this and the other great packages we are offering. 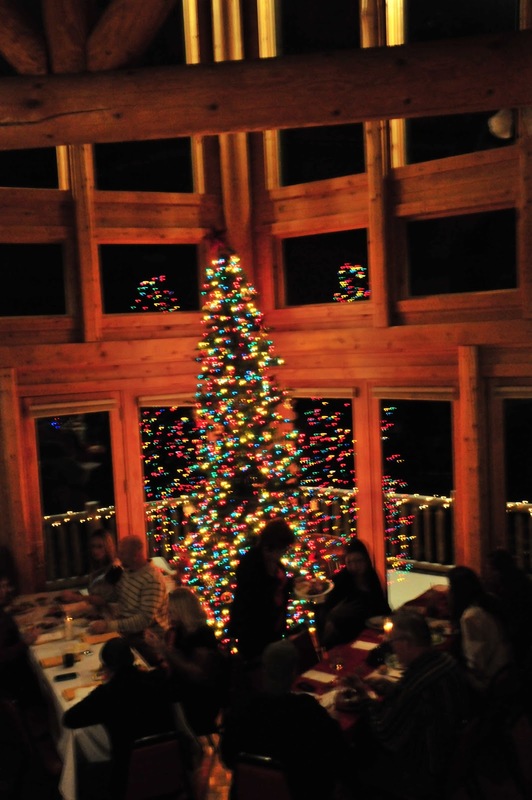 Taylor-Made Deep Creek Vacations would like to take this time to wish our friends, homeowners, and guests a truly wonderful and safe holiday season! We will see you at the lake! Previous Previous post: Let The Shopping Commence! Next Next post: It suddenly “Dawned” on us….